Tan barn wood print with farm animals flowers barns and old tractors and pickups. 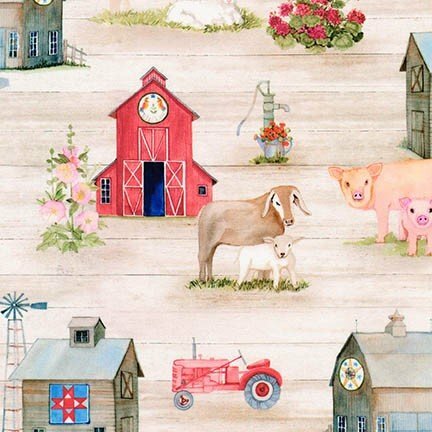 From the Down on the Farm collection from Robert Kaufman Fabrics. 100% digitally printed cotton. 44"-45" wide.